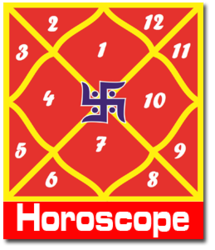 Astrology & Vastu Research & Consultations using Vedic Oriental North Indian Predictive Astrology, the modern South India’s ‘Krishnarmurthy Padhiti’ and the Western scientific concept of ‘Solar Biology’ initiated by Mr. Hiram. E.Butler. by synthesizing the above mentioned methods of predictive astrology have evolved my own unique method for giving an expert astro advice/readings and counseling to clients. More than 10000+ horoscopes & 7000+ clints are successfully diagnosed and remedied by us. 6+ years experience in the field of Teaching Astrology & Vastu to students comes from various different age groups, religions & languages from the very basic to advanced research level. More than 800+ students are taught by us.